We sell pillar candles that are made using only 100% beeswax. 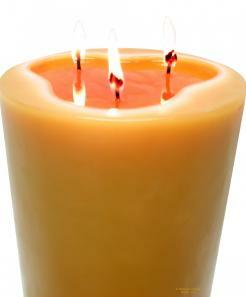 We do not add paraffin or other waxes to our candles. Our magnificent 18" x 3" beeswax pillar will give you about 360 hours of burn time. Please never leave a burning beeswax candle unattended!